Figure 1 : For Reseller Account Who have their own (Agent customer) to sell their product & using their Name Of Shop & address or reseller address. 3. 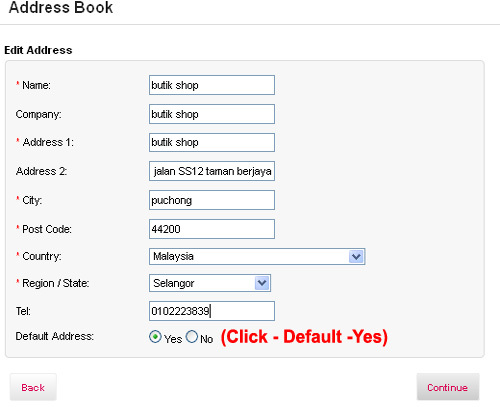 Click <Request For Delivery> at Account page (Refer figure 1) to deliver items to different addresses. 4. 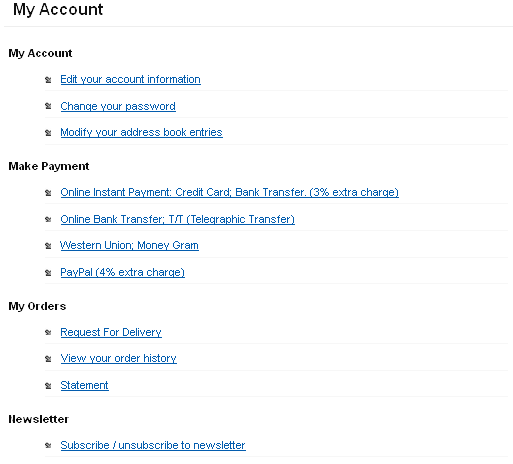 Show a list of addresses added to Address Book and all the items ordered in different sales orders. Select a shipping address (Refer figure 2, A) and enter the item quantity to deliver to the selected shipping address (Refer figure 2, C). 7. The selected shipping address and items will appear on this page. 8. 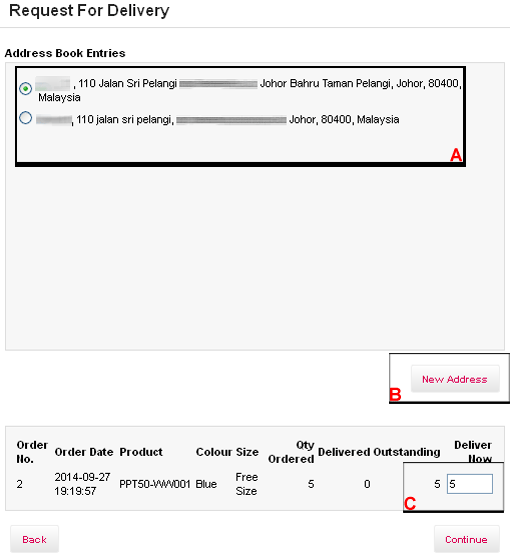 Select shipping method (Refer figure 3, A) to send out the selected item to selected shipping address. 9. 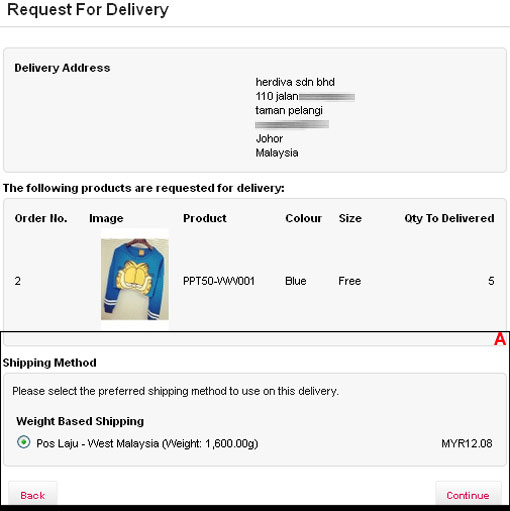 Click <Continue> to arrange for delivery and delivery note will be generated (Refer figure 4) when successfully submitted the delivery order.